When the Quidditch World Cup is disrupted by Voldemort's rampaging supporters and the terrifying Dark Mark is resurrected, it is obvious to Harry that, far from failing, Voldemort is getting stronger. The ultimate symbol to the magic world of the evil Lord's return would be if the one and only survivor of his death curse, Harry Potter, could finally be beaten. So when Harry is entered for the Triwizard Tournament - a competition between three wizarding schools to find the ultimate magician - he knows that rather than win it, he just has to get through the trials alive. Harry had a great end of summer as he went to the Quidditch World Cup with the Weasleys and Hermione. But all turned sour when Death Eaters invaded the campsite and the Dark Mark appeared in the sky. Hurrying back home, the scramble to get to Hogwarts was a bit messy. There, things did not improve for Harry. As it was the year of Triwizard Tournament, three champions from three magical schools were selected. But Harry managed to be selected as the fourth. He had to face a dragon, solve a golden egg mystery and rescue his best friend from the lake, and in the end, he faced a giant maze as well. Just when he was sure he’ll win the cup, get it all over with and have a good rest, he was transported to a graveyard to witness his friend’s death and the resurrection of Lord Voldemort. He barely escaped, just to get snatched by Voldemort’s servant at Hogwarts, posing as a professor. He was narrowly saved by professor Dumbledore, who was one of the few that believed him Voldemort has returned. At the beginning of the book, Harry had a dream/vision, in which a man named Frank Bryce was killed by Lord Voldemort, hiding in the Riddle house. Harry woke up with his scar hurting badly, but decided not to mention it to anyone but Sirius. Later, he got an invitation to the Quidditch world Cup with the Weasleys. When they picked him up, they came through the fireplace, but Weasleys had an electrical fire, so Mr Weasley had to blast away part of the wall to get out. The Weasleys took Harry and Hermoine to the Quidditch World Cup, to watch Ireland versus Bulgaria, where Ireland won despite Krum (Bulgarian player) caught the snitch. Harry, Hermione and the Weasleys watched the game from the top box and even got to see the teams up close. Afterwards, Voldemort’s followers invaded the campsite and destroyed parts of it while toying with the Muggle owner and his family. The Dark Mark also appeared in the sky, which led to general panic: it was the first time it’s been sighted in 13 years. Winky, Barty Crouch Senior’s (who was in charge of the organization of the QWC) house elf, was blamed for casting the Mark because she was found holding Harry’s lost wand, which was revealed to have been used to cast the Mark. At the first feast of the year, the students were told that Alastor “Mad-Eye” Moody would be the new Defence Against the Dark Arts teacher for one year, and Hogwarts would host the Triwizard Tournament (so Quidditch was off for the year). However, the tournament was open only to those over 17 – the age of being a legal grown-up in the wizarding world. Dumbledore himself would prevent the younger students to enter with an Age Line. In their first lesson with Moody, Moody decided to show the fourth-year Gryffindors the Unforgivable Curses. Despite some fear amongst the students, Moody showed the entire class the three curses using spiders as his test subjects: Imperio, a mind-controlling spell, Crucio, a torturing curse, and Avada Kedavra, the Killing Curse that only Harry was known to survive. That evening, Hermione revealed that she has started SPEW, a club for fighting for house-elf rights, because she was appalled by how the race was treated (the final straw was Winky’s dismissal by Mr Crouch). She wanted Harry and Ron to join, but before she could persuade them, Hedwig returned with a letter from Sirius. Sirius said there were rumours Voldemort might come back, and that’s probably why Harry’s scar was hurting. He wrote he was returning to Britain, which made Harry worry Sirius might get caught. End of October, each of the Hogwarts houses were assembled, waiting for the delegates from foreign schools to arrive. Beuxbatons came by a huge flying carriage and giant flying horses, while Durmstrang came with a submarine-ship that emerged from the lake. Viktor Krum was revealed to be among the Durmstrang students, which made Ron, a big fan, excited. At Halloween, the Goblet of Fire picked Fleur Delacour from Beauxbatons Academy; Viktor Krum from Durmstrang Institute; and Cedric Diggory from Hogwarts as the tournament’s champions. 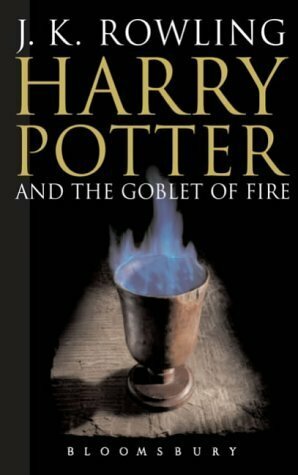 However, after the goblet has selected the three champions, it threw out another name: Harry’s name. Even though Harry never put his name in, and others raged about Hogwarts having two champions (the displeasure was among Hogwartians as well), Harry was under magical contract and was unable to step down from his new position. Ron was jealous that Harry was once again in the spotlight, especially since he didn’t even confide in Ron how he managed to trick Dumbledore’s Age Line, and refused to speak to Harry. During a Potions lesson, Colin Creevey arrived to pick Harry up for a photo session. Rita Skeeter forced Harry into an interview in a broom closet, but Harry was soon saved by Dumbledore and escorted back to the room for Wand Weighing ceremony. Wandmaker Mr Ollivander came to check up on the champion’s wands. After the champions and judges went through a long photoshoot, Harry was allowed to leave. Sirius’s letter, that came while Harry was away, read that Sirius thought it too dangerous to communicate by letter and that he would contact Harry on 22 November at 1 a.m. and that Harry must wait for him by the Gryfindor’s common room fireplace. Harry’s talk with Sirius helped him through his embarrassment about Rita Skeeter’s news article, which told a very inaccurate version of his life story. He also told Harry that Karkaroff, Durmstrang’s headmaster, used to be a Death Eather and could be the one that put Harry’s name in the Goblet. The talk was interrupted by Ron, and the fight the two boys had further strained his friendship with Ron, who thought Harry was only trying to get attention (due to the article). Even though the champions were supposed to solve the three tasks on their own, Hagrid helped Harry with the first one. One night, he took him to see the dragons they kept in the forest. Harry, under his Invisibility cloak, learnt that he will have to face one of the four dragons before him. He felt it’s only fair he tells Cedric about them, since Beauxbatons headmaster Madame Maxime and Durmstrang’s headmaster Igor Karkaroff saw them as well and would no doubt tell about them to their champions. The first task was to retrieve a golden egg, which would give a hint for the next task, from underneath a dragon. At the task, Harry had to pass a Hungarian Horntail, the most vicious of all four dragons, which he managed by summoning his broomstick by advice of professor Mad-Eye, and finished the task tied for the first place with Viktor Krum. After the task, Ron started to speak to Harry again, now convinced Harry would never sign up for something so dangerous. When Harry opened the egg at his own party in Gryffindor tower, it merely wailed loudly and didn’t help Harry figure out the next task. Hermione, working tirelessly on SPEW, found the entrance to the kitchens, and took Harry and Ron there. In the kitchens, Harry met Dobby, the elf who got saved in second year from the Malfoys by Harry, that was now working at Hogwarts, along with Winky. Dobby also negotiated a few days off and got a pay, which made Hermione very happy. She thought Dobby could ‘infect’ the others to demand equal rights as well. In one Tranfiguration class, McGonagall told her students about the Yule Ball, a formal event that is scheduled for 25 December as part of the Tournament. She told Harry privately that he and his date would start off the event alongside the other champions as is tradition, and that he cannot opt out of it. Over the next few weeks, both Ron and Harry unsuccessfully attempted to find dates for the dance. One day Harry worked up his courage and asked Cho Chang he fancied to go to the dance with him, but she told him she had already agreed to go with Cedric. Meanwhile Ron foolishly tried to ask Fleur out and got rejected terribly. Later, Ron asked Hermione out, but she, very mad, told him she was going with someone else already. Finally, Harry got the dates with Patil twins for both himself and Ron. On Christmas Day, Dobby woke Harry up and gave him a present. Harry got many other gifts, including a hand-knit sweater with the image of a dragon from Mrs Weasley and a magical penknife from Sirius. After spending the day relaxing, everyone got ready for the ball, then headed to the Great Hall, where the dance was going to take place. At the start of the ball, it was revealed that Hermione was going to the ball with famous Viktor Krum. When the champions reached the judges table, Crouch was nowhere to be seen. Percy Weasley, who has been promoted to Crouch’s assistant, said Crouch was ill. After the entire room had dinner, the Weird Sisters started their concert. Neither Harry nor Ron had any interest in dancing, so their dates soon abandoned them. Ron also got into an argument with Hermione, claiming that she’s fraternizing with the enemy because she’s dancing with Krum. Harry and Ron decided to go for a walk on the grounds to get away from the crazy insides of the Great Hall. They encountered Karkaroff having a worried discussion with Snape, and while hiding from the duo, they found Hagrid and Maxime enjoying a private moment. Harry and Ron were unable to leave so they overheard Hagrid hint Maxime was a half-giant, like him. Ron was shocked, explaining to Harry how dangerous it is to talk about it, given the nasty reputation giants had in the wizarding world. Shortly after the ball, Cedric gave Harry a hint about the egg: take a bath with it. He also gave Harry the password to enter the Prefects’ bathroom for some privacy as thanks for warning him about the dragons. Harry refused to take the hint as serious, jealous at Cedric for being with Cho. Meanwhile, Rita Skeeter was writing nasty articles about Barty Crouch and his weird disappearance, and Hagrid and Madame Maxime (somehow she managed to learn about the half-giant situation). The articles caused Hagrid to disappear, so his classes were taken over. Harry, Ron and Hermione almost had to crash his door down before they were let in and were able to console Hagrid. Hagrid then gave his support to Harry for the Tournament. That was enough to convince Harry to put aside his pride and take Cedric’s advice. Finally acting on the tip, Harry took the egg to the Prefects’ bathroom. Opening it again, it wailed just the same, making Harry feel foolish he trusted Cedric at all. Then Moaning Myrtle came and told him to listen to the egg underwater like Cedric did, and the wailing was finally understandable – it was a song. Harry realized the song was from the mer people, living in the lake. He learnt that the task is to recover something he will “sorely miss”. On the way back to Gryffindor tower, Harry saw Barty Crouch in Snape’s office on the Marauder’s Map he was using, and he went to investigate. When he fell through a trick stair and trapped his leg, he accidentally dropped the egg and map, attracting the attention of Filch as the egg opened and started to wail. Filch found the egg, believing it was the work of Peeves the poltergeist as Harry was, luckily, hidden under his cloak. Snape arrived soon after, demanding Filch’s help in catching the person that broke into his office. Another professor joined the ‘party’ – Moody, wondering about the noise. Snape, seeing the map, was sure Harry is somewhere near, and nearly found him under the cloak, but Harry was rescued by Moody (who was able to see him because of his magical eye). Moody claimed Marauder’s Map as his own after Harry signaled to him not to give it to Snape. As Moody freed Harry’s leg, Harry told Moody about how the map worked and told the professor he saw Mr Crouch on it. After Moody spent time looking over the Marauder’s Map, Harry asked what Crouch was doing in Snape’s office, if he’s too ill to come judge the tournament. Moody suggested that Crouch was trying to find evidence of Snape being a dark wizard. Moody then asked to borrow the map and let Harry go. Harry started looking for spells to help him breathe underwater, but he found nothing, not even with help from Hermione and Ron. As the evening before the task Ron and Hermione were called away, Harry stayed alone in the library all night, looking things up. However, by the morning of the task, Harry hasn’t found a solution. He was awoken by Dobby, who gave him some Gillyweed to give Harry gills. Harry completed the task, rescuing Ron from under the lake, but because he worried nobody would come for Fleur’s sister, he was last (having rescued the girl as well as Ron). He was now tied with Cedric. Skeeter published another nasty article, this time about Hermione, a harlot who’s enticing Harry and Krum at the same time (after Hermione challenged her about her writing in Hogsmeade), which led Hermione to realize Skeeter must have eavesdropped on her and Krum’s conversation on the shores of the lake after the second task, and she began wondering how Rita was getting her information. Snape confronted Harry over the recent theft of boomslang skin and gillyweed from his office. He threatened Harry with Veritaserum, as Snape was sure Harry was the thief (because of Harry’s night stroll). Mid-lesson, Karkaroff showed up to talk to Snape and hung around until after class. Snape blew him off, but not before Harry, who stayed behind intentionally, noticed that Karkaroff tried to show Snape something on his arm. In Spring, the trio went to Hogsmeade, laden with food to meet Sirius, hiding nearby in a cave. They discussed Winky and the World Cup. Sirius suggested that whoever stole Harry’s wand must have done so while they were watching the game in the Top Box. Sirius explained all about the Crouches: Crouch’s son had been caught with a group of Death Eaters just before Voldemort’s downfall. Junior was given a show trial by his father before getting locked up in Azkaban and dying a year later. In May, Harry and the other champions were called to the Quidditch pitch and were informed that a maze will be erected there and filled with obstacles. Their job would be to head to the centre of the maze and touch the Triwizard Cup in order to win. On their way back, Krum took Harry aside to the edge of the Forbidden Forest and questioned him about his relationship with Hermione. Harry assured Krum that he and Hermione were just friends. Moments later, Barty Crouch emerged from the forest, mumbling nonsense and asking for Dumbledore in flashes of what seemed to be clear mind. He mentioned that Voldemort was getting stronger and that he himself was responsible for something bad. He also mentioned his son, as well as Bertha Jorkins, who was dead. Harry ran to retrieve Dumbledore, leaving Krum alone with Crouch, but when they returned, they found Krum stunned and Crouch gone. Karkaroff came to the scene, accusing Crouch’s apparent attack on his student as a conspiracy. Not long after the incident with Crouch, Harry passed out and had a vision in Divination class. He saw Voldemort being told of someone’s death, and torturing Wormtail for failing to prevent that person’s escape. Harry woke up with his scar hurting badly, and he pretended going to the hospital wing to evade questions. He actually went to see Dumbledore and overheard an argument between Dumbledore, Moody, and Fudge regarding the Crouch situation. Fudge refused to believe anything Crouch said, and hinted on Madame Maxime being guilty of Crouch’s disappearance, given her half-giant background. As Harry waited alone in Dumbledore’s office for the headmaster, he was looking around. He noticed Dumbledore’s Pensieve. Curious, Harry peered in and ended up looking into three of Dumbledore’s memories from three different trials of Mr Crouch. The first was the trial of Igor Karkaroff, where Karkaroff gave the names of existing Death Eaters, including Snape, in exchange for a milder sentence. Memory’s Dumbledore stated that Snape was cleared and was now his spy on Voldemort. The second memory showed the trial of Ludo Bagman, accused of passing information to Voldemort, even though he wasn’t aware of it, and he was cleared of all charges. The last memory was a trial for three Death Eaters and Crouch’s son, for the use of the Cruciatus Curse on Alice and Frank Longbottom. Crouch sentenced them all to a lifetime in Azkaban. Then present Dumbledore arrived and took Harry back to his office. Harry explained what happened in Divination, and admitted the same thing happened in the summer, although Dumbledore already knew about that because Sirius told him. Dumbledore suspected that the reason for Harry’s scar pains was the connection that was made when Voldemort failed to kill Harry. He believed the scar hurt when Voldemort was close or was feeling a strong emotion. Dumbledore also explained to Harry that, unlike the Ministry, he believed that the disappearances of Bertha Jorkins, Barty Crouch, and Frank Bryce could be connected to Voldemort. Before Harry left, Dumbledore explained the last memory: that Neville’s parents went insane due to the Cruciatus Curse and that’s why Neville was brought up by his grandmother. He asks Harry not to tell this to anyone. Harry told everything from the Pensieve to Ron and Hermione, except the details about Neville’s parents. As the last task approached, Ron and Hermione found time to help Harry study various useful spells and jinxes, even though they had to study for their end-of-term exams. During one practise session, Ron noticed Malfoy outside the castle sitting by a tree talking into his hands, but nobody paid him any real attention. On the day of the third task, Rita Skeeter released an article claiming Harry was demented and dangerous boy, who faints and has terrible scar pains. She even used a quote from Draco Malfoy in the article, telling everyone he’s a Parselmouth. This drove the trio to wonder how Skeeter knew about the fainting, as the class took place in the North Tower and Skeeter wasn’t allowed inside Hogwarts grounds. Hermione finally figured out how Skeeter could be getting her information and left for the library to check. McGonagall told the champions that their families have come to watch them complete. Harry didn’t want to meet them, not really expecting the Dursleys anyway, but instead he found Molly and Bill Weasley. While Harry gave them a tour of the grounds, the other two shared their memories of Hogwarts. They told Harry that Percy would not be coming this time, because he has been hauled in for questioning after the Barty Crouch incident. Instead, Cornelius Fudge would be the fifth judge in his place. After dinner, Mr Bagman took the champions to the maze and Harry and Cedric, who were tied for first place, were sent in first. Harry successfully navigated the maze: he got past both a Blast-Ended-Skrewt and a Boggart disguised as a Dementor. Along the way, he heard Fleur scream and figured she was out of the game. Harry also rescued Cedric, who has been attacked by an Impero-controlled Krum. Harry then managed to pass a Sphinx but, as he approached the Cup, got attacked by a giant spider. This time Cedric rescued Harry, but Harry’s leg got injured nevertheless. After having a short argument, who deserved the cup more and should therefore grab it first, they decided to grab the Cup together as it was going to be a Hogwarts win anyway. Unknown to them, the Cup was actually a Portkey that transported them to a cemetery. Just as Harry and Cedric were trying to figure out what happened, Wormtail appeared, holding a bundle of robes, and Harry’s scar began hurting again. A second voice ordered Wormtail to kill Cedric, which he did, and to tie Harry to a tombstone. Wormtail then brought out a huge stone cauldron and lit underneath. He took some of Harry’s blood, bone dust from Tom Riddle Sr’s grave to which Harry was tied, and put them in a cauldron. He then cut off his own right hand, put it in the cauldron, and finally placed the speaking bundle he carried earlier in the cauldron as well. The creature was revealed to be Lord Voldemort as the potion in the cauldron gave him a new body. Voldemort forced Wormtail to take out his bleeding arm to press the Dark Mark and summon the Death Eaters. While they waited, Voldemort told Harry how his father abandoned him and his mother after he learnt his mother was a witch. Voldemort’s mother died giving birth to him and he was raised in a Muggle orphanage. He murdered his father in revenge when he was a teenager. After his Death Eaters arrived, Voldemort scolded them for failing to seek him out during last thirteen years when he was believed to be gone. Voldemort rewarded Wormtail for helping with his rebirth by making a new silver hand for him. He explained he was able to return because of the protection spell that Lily Potter provided Harry with when she died, which he got by taking Harry’s blood and so now he was able to touch the boy. Voldemort then revealed that he fled deep into an Albanian forest, barely alive and without a body, surviving only because he possessed various animals, until Quirrell showed up and let Voldemort share his body. Because of his failure to obtain the Philosopher’s Stone, Voldemort returned to Albania. When Wormtail learnt of Voldemort’s existence, he went to look for him, and on his journey he met Bertha Jorkins. He brought her to Voldemort and, by torturing her, Voldemort found out about the Triwizard Tournament. He also discovered that a faithful servant of Voldemort was still alive after breaking a memory spell that had been placed on Jorkins. With Wormtail’s help, Voldemort was able to return home and plot Harry’s abduction, knowing that Harry’s blood would revoke his protection. Voldemort revealed that this servant, who was at Hogwarts even at that moment, has ensured that Harry would win the tournament and be brought to the graveyard. Voldermort then freed Harry and ordered him to face him in a duel, decided to prove he’s stronger once and for all. But when their spells meet (Voldemort’s Avada Kedavra and Harry’s Expeliarmus), a rare occurrence took place – a Priori Incantatem. Voldemort and Harry’s wands were “brothers” as their wand’s cores were both feathers from the same Phoenix, so they didn’t attack one another. This caused the spirit echoes of Voldemort’s victims, including Harry’s parents, to spill out from Voldemort’s wand in reverse order. The echoes momentarily protected Harry, allowing him to escape. Harry escaped back to Hogwarts with the Portkey, taking Cedric’s body with him. When he returned, Moody took Harry to his office to help him, but really he planned to kill him. Moody revealed that he was the one who put Harry’s name into the Goblet of Fire, and has been helping him and guiding him through the tournament to ensure that he would grab the Portkey first, even making sure most of the obstacles in the maze were removed. Before Moody was able to kill Harry, Dumbledore, McGonagall and Snape intervened, forcing Moody to take Veritaserum. They learnt that Moody was really Barty Crouch Junior, Mr Crouch’s presumably dead son. Crouch had sentenced Crouch Jr to life imprisonment in Azkaban for suspected ties to the Death Eaters, but had broken him out as a last favour to his dying wife. Voldemort had gotten in contact with Crouch Jr, and had him impersonate Moody as part of his plan. Crouch Jr also admitted killing his own father, to prevent him telling Dumbledore about Voldemort after his father escaped from under son’s Imperius curse. Only a few people believed Harry and Dumbledore about Voldemort’s return, and many, including Fudge, disbelieved him. On the ride home, Hermione revealed she found out Rita Skeeter is an Animagus, and she’s not registered. She caught her (as her shape is a bug) and closed her in a jar to punish her for eavesdropping and writing lies. She agreed to not tell on her if Skeeter doesn’t write for a year. Just before going back home to Dursleys, Harry have all his winnings to Fred and George for their joke shop, not wanting to keep the money. Pemsieve – a ‘device’ that stores memories so you can see them at leisure.